Ian advises and represents private capital Retail owners and investors in the acquisition and disposition of properties throughout the Bay Area with an emphasis on North Bay shopping centers, Plazas, Multi-Tenant Strip Centers. Ian is part of the Northern California Private Capital Investment Services Group at Colliers International which focuses on assets in the 1M-20M value range, with an emphasis on retail properties primarily owned and operated by private individuals, family trusts and private equity firms in the Bay Area. Ian joined Colliers after working with Marcus & Millichap where he was part of the National Retail Group investment sales division, which in 2018 handled over 1 Billion dollars in retail sales volume Nation-wide. He is determined to bring his strong work ethic and detail orientated approach to assisting property owners better understand how to preserve and grow capital within their investments. Ian lives in Corte Madera with his wife, Katy, two children Zoe and Vivienne. Ian graduated from the University of Southern California with a degree in Political Science. He previously worked with an international import & distribution company focusing on Business Development and Client Relations before starting his successful career in commercial real estate. Since 2008, Bryan has focused exclusively on the acquisition & disposition of leased investment commercial properties in the Bay Area. He has a wide range of experience in the analysis, marketing and positioning of Office, Industrial, single and multi-tenant net leased retail investment properties. 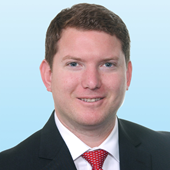 Bryan has successfully closed numerous complex commercial real estate transactions as a leasing agent and during his career at Marcus & Millichap. Bryan has represented some of the most prominent Bay Area property owners, investors & multiple lending institutions who benefit from Bryan's strong work ethic, high level of integrity, and ability to bring outstanding results in the most difficult of circumstances.